Our range of products include henna mehndi pouch in pouch packing machine, wooden spoon counting & packing machine, mukhvas pouch automatic packaging machine, multi track machine, ketchup packaging machine and form fill seal machine. Henna mehndi Pouch in pouch Packing Machine can form filled mehndi pouch and automatically insert it in the outer pouch. Plc operarted machine with state of art of desing and electronics for optimum production. Easy to handle and operate equipped with all contact parts of stainless steel. The machine can be used for packing tea or herbal products. Owing to our sound experience, we have been successful in catering to the requirements of our esteemed clients by offering quality Wooden Spoon Packing Machine. All our products are fabricated employing advanced technology and latest machines following standards & norms of the industry. To cater to the diverse requirements of patrons, we customize the offered range on the basis of the specifications detailed by them. We are one of the main manufacturers of an assortment of premium quality Automatic Form Fill Seal Machine that is created by our master specialized experts utilizing amazing materials. 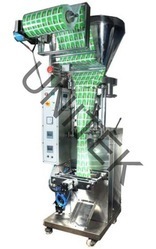 The Automatic Form Fill Seal Machine is intended for warmth Sealable covered pocket. With the aid of our team, we have been able to present our patrons with the praiseworthy array of Multi Track FFS Machine. Designed by making use of supreme quality basic material and components, these machines are in adherence with the stern constraints of the industry. Additionally, to provide to the diversified demands of the patrons, we offer these machines in different technical provisions. 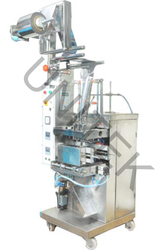 Unitek offers an extensive range of Liquid Filling Machines, which is manufactured at par with the latest technological advancements in the market for filling and packing: shampoo, ketchup, hair oil, gel, pickles, grease, 2T oil. UNITEK are one of the main manufacturers of an assortment of premium quality Form Fill Seal Machine that is created by our master specialized experts utilizing amazing materials. The Automatic Form Fill Seal Machine is intended for warmth Sealable covered pocket. Precisely engineered our range of Ketchup Packing Machines is exclusively made keeping in mind their specific applications. These machines are widely demanded their optimum performance and long –service life. Quality being our prime forte has always remained on the top of our priority list and we have never ignored this factor. We regularly trained our employees in order to have the better understanding of the current market trends. Capacity 30-50 Bag per minutes. 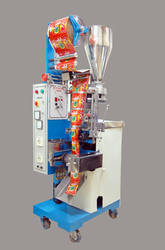 Tea Bag Packing Machine can form tea bag with string & tag from heat sealable filter paper. 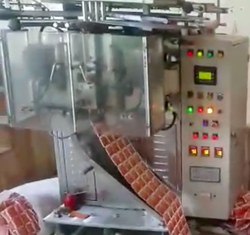 It's an automatic operation where the bag forming filling, sealing and attachment of the string and tag is fully automatic. Easy to handle and operate equipped with all contact parts of stainless steel. 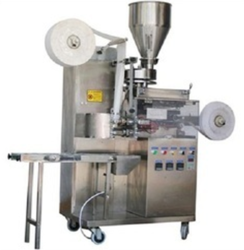 The machine can be used for packing tea or herbal products. Owing to our sound experience, we have been successful in catering to the requirements of our esteemed clients by offering quality Milk Packing Machine. All our products are fabricated employing advanced technology and latest machines following standards & norms of the industry. To cater to the diverse requirements of patrons, we customize the offered range on the basis of the specifications detailed by them. Refer to Model UT-53 in catalog. Unitek understands customers need and help them in opting for best alternative both cost wise and production wise and ensures customer confidence and satisfaction is there in our equipment regular feed back is taken on its review further modifications are carried out.